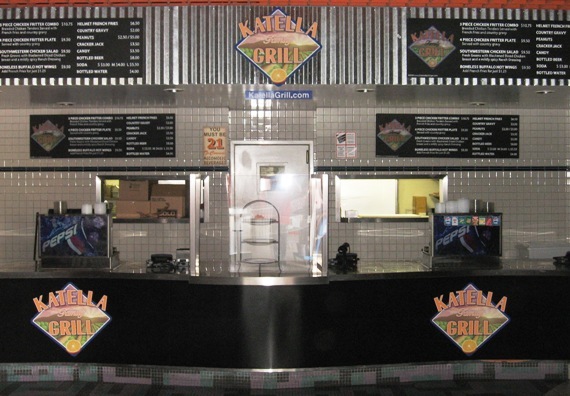 Katella Grill opened up a location at Angel Stadium and needed a few branding ideas. Insignia fabricated signs out of acrylic and gave them dimension using different sizes. We also fabricated an aluminum casing to house the revolving banner that was printed in house.